Do you ever just completely forget something from your childhood and stumble upon it again years later in an exciting triumphant way? No? Just me? I have this terrible habit of just absolutely forgetting what I had once deemed important things from my past and being pleasantly surprised when I fall back in love with them all over again years later. That's definitely the story with enamel pins. Growing up I had this little collection of gold textured pins from my grandmas that I was constantly toting around. There was a palm tree, ice cream cone, and a handful of others that I loved. I would never actually wear them for fear they'd go missing in seconds, but I often rubbed my fingers over their textured surfaces and stare at them like I was guarding a treasure trove. And then I forgot all about them. 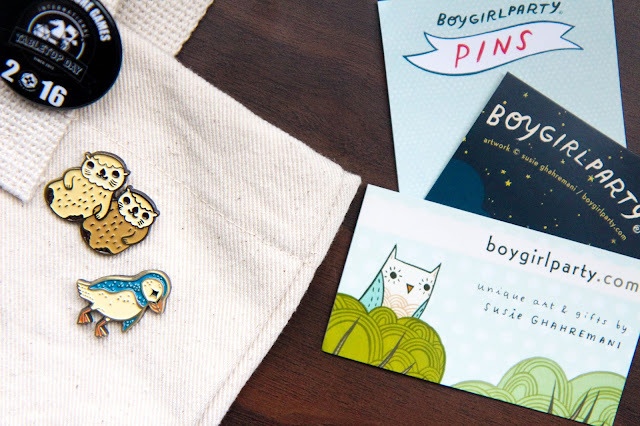 I honestly couldn't tell you exactly how my enamel, label pin rediscovery happened. It's safe to say Instagram had something to do with it and all of a sudden I was over on Etsy falling down the rabbit hole. I had to have one. 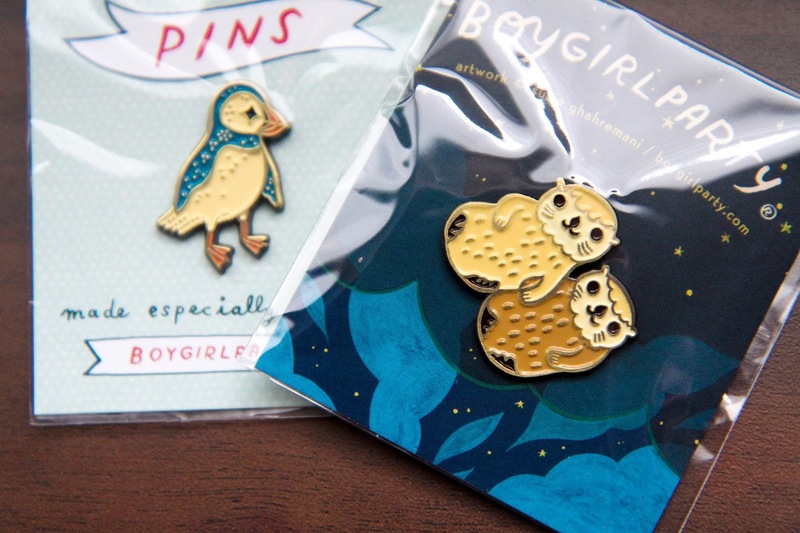 I found myself at Boy Girl Party's shop and ordered two pins before I could talk myself out of it. They shipped just hours later and were at my doorstep within 48. And they're perfect. I got the otter one as they've surpassed elephants as my favorite animals and the puffin because Alex loves them. They've found a happy little home on my Oh, Hello tote and I've felt like a 90's kid again carrying them around with me like badges of honor. And of course I want more. I love this sort of thing. Something that's fun for fun's sake and doesn't really have a point, but makes me happy. I'm definitely in a "back to grass roots" mindset these days and have kicked up my childhood loves into full gear. Just take a look at my My Little Pony collection or the Rugrats figurines I pulled out of one of my old toy boxes a few weeks ago. 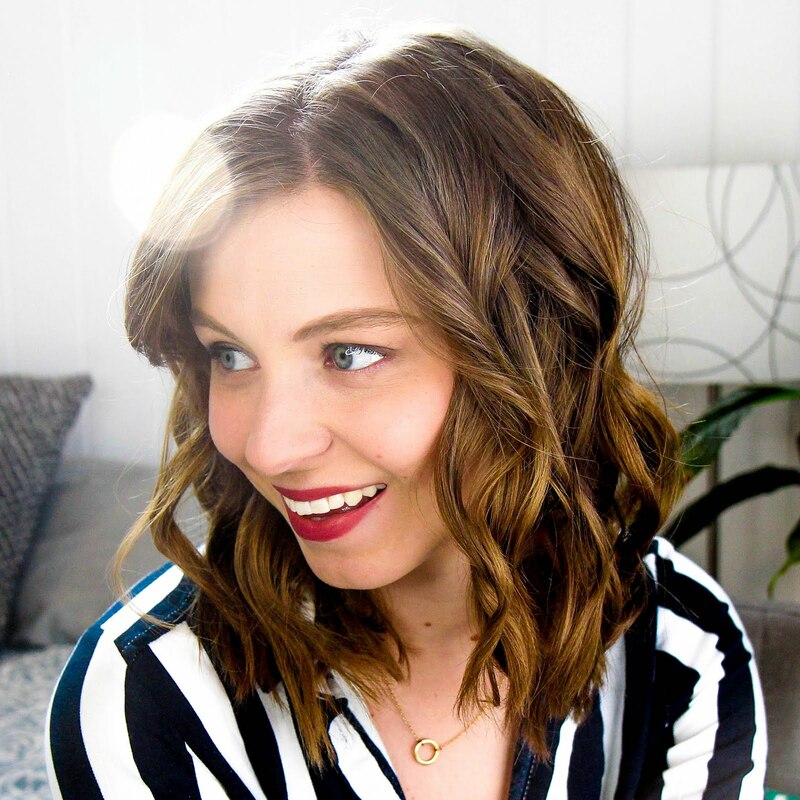 All this growing up business makes me want to grow back down and what better way than to embrace some quirky good obsessions? 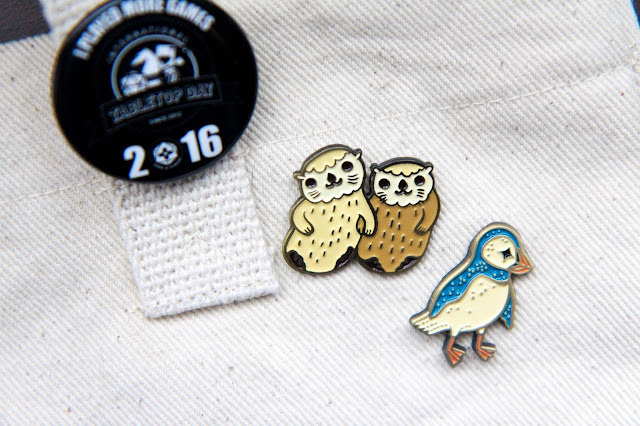 So if you ever stumble upon some good enamel, lapel pins, point me in their direction!